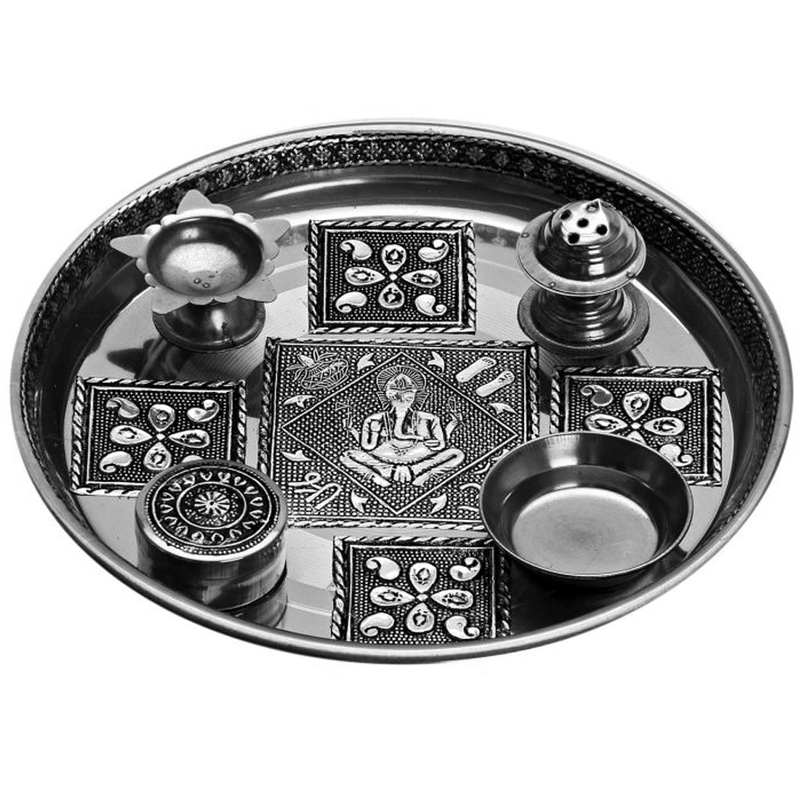 This interesting and attractive pooja thali made of steel will surely attract all your guest. Separate panels for keeping puja ingredients assorted, come along with Read More..it. The image of ganesh ji is sculpted on the centre of the plate with all the panels surrounding it. This silver colored steel plate has its border raised a bit in order to help the user. This product is not only useful but beautiful as well. Show Less..